This article is about veneration of Mary, mother of Jesus, in the Catholic Church. For Catholic Marian doctrines, see Roman Catholic Mariology. In the Catholic Church, veneration of Mary, mother of Jesus, includes prayer, pious acts, visual arts, poetry, and music devoted to the Blessed Virgin Mary. Popes have encouraged it, while also taking steps to reform some manifestations of it. [note 1] The Holy See has insisted on the importance of distinguishing "true from false devotion, and authentic doctrine from its deformations by excess or defect". 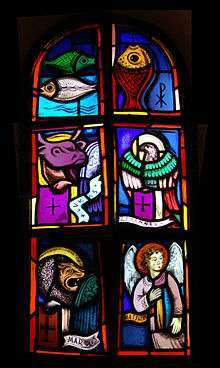 There are significantly more titles, feasts, and venerative Marian practices among Roman Catholics than in other Christian traditions. The term hyperdulia indicates the special veneration due to Mary, greater than the ordinary dulia for other saints, but utterly unlike the latria due only to God. "Mariolatry" is a Protestant pejorative for perceived excessive Catholic devotion to Mary. Growth of Roman Catholic veneration of Mary and Mariology has often come, not from official declarations, but from Marian writings of the saints, popular devotion, and at times reported Marian apparitions. The Holy See approves only a select few as worthy of belief, the latest being at diocesan level as far back as 1665. John's Gospel records her presence at the beginning and end of his public fife. Particularly significant is Mary's presence at the Cross, when she received from her dying Son the charge to be mother to the beloved disciple and, in him, to all Christians. The Acts of the Apostles expressly numbers the Mother of Jesus among the women of the first community awaiting Pentecost. John Eudes wrote that: "The Virgin Mary began to cooperate in the plan of salvation, from the moment she gave her consent to the Incarnation of the Son of God". 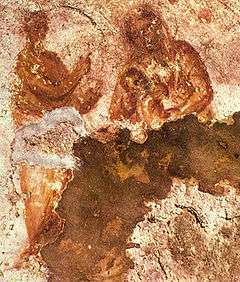 Mary, as the mother of Jesus, is documented in Roman catacombs: paintings from the first half of the 2nd century show her holding the Christ Child. Excavations in the crypt of St Peter's Basilica uncovered a very early fresco of Mary together with Saint Peter. The Roman Priscilla catacombs depict the oldest Marian paintings from the middle of the 2nd century: Mary is shown with Jesus on her lap, a standing man with tunic left hand a book right hand a star over his head symbol of messiahs. Priscilla also has a depiction of the annunciation. The edict of Milan (AD 313) allowed Christians to worship openly. This new freedom also permitted literary development of the veneration of Mary, Hippolytus of Rome being an early example. Saint Ambrose, who lived in Rome before going to Milan as its bishop, venerated Mary as an example of Christian life, and is credited with starting a Marian cult of virginity in the 4th century. Cathedrals and churches were built for public worship. The first Marian churches in Rome date from the 5th and 6th centuries: Santa Maria in Trastevere, Santa Maria Antiqua and Santa Maria Maggiore. However, the very earliest church dedicated to the Virgin Mary dates to the late 4th century in Syria, where an inscription dedicating it to the Theotokos (Mother of God) was found among the ruins. 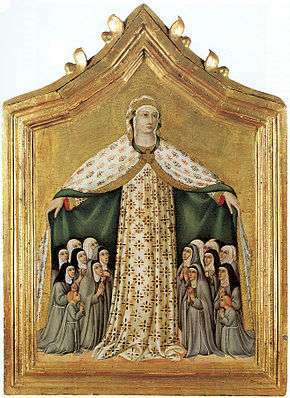 The Council of Ephesus in 431 sanctioned the cult of the Virgin as Mother of God. Marian culture continues to develop within the Catholic Church. 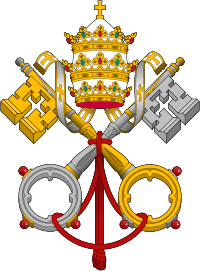 In 1974, after 4 years of preparation, Pope Paul VI issued the Apostolic Letter Marialis Cultus. In this document, (which was subtitled For the Right Ordering and Development of Devotion to the Blessed Virgin Mary) Paul VI not only discussed the history of Marian devotions, but overviewed their rationale and provided suggestions for their future direction, emphasising their theological and pastoral value. In modern times, Pope John Paul II clarified consecration to Mary in his 1987 encyclical, Mother of the Redeemer, in which he stated, "Mary's motherhood...is a gift which Christ himself makes personally to every individual." 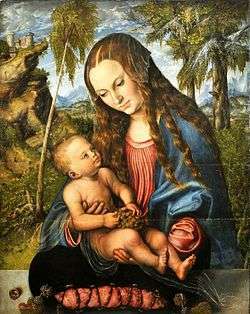 No image (in either the Western or the Eastern Church) permeates Christian art as the image of Madonna and Child. The images of the Virgin Mary have become central icons of Roman Catholicism and Eastern Orthodox Christianity where Mary remains a central artistic topic. 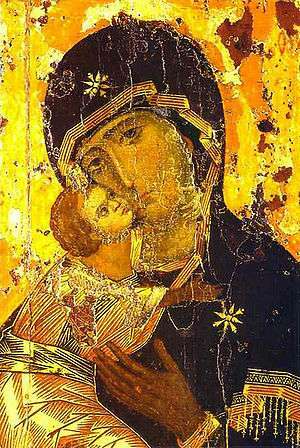 Byzantine images of the Theotokos were adopted in the West, where Byzantine models became widely distributed in by the 7th century. The Virgin Mary has been one of the major subjects of Christian Art, Catholic Art and Western Art since Early Christian art and she has been very widely portrayed in iconic "portraits", often known as Madonnas, with the infant Jesus in the Madonna and Child, and in a number of narrative scenes from her life known as the Life of the Virgin, as well as scenes illustrating particular doctrines or beliefs: from masters such as Michelangelo, Raphael, Murillo and Botticelli to folk art. ↑ For example, on March 12, 1969, Pope Paul VI reduced and rearranged the number of Marian feast days in Sanctitas clarior. Several of his predecessors did similarly. 1 2 "CCC, 971". Vatican.va. ↑ "Santa Maria". Time. Time Inc. 27 March 1927. Retrieved 6 June 2016. (registration required (help)). ↑ Elders, Willem (1994). Symbolic Scores: Studies in the Music of the Renaissance. Symbola et emblemata: studies in Renaissance and baroque symbolism. 5 (Illustrated ed.). Leiden, Netherlands: E.J. Brill. p. 151. ISBN 9004099700. ISSN 0923-9073. ↑ William, Baum (25 March 1988). "La Virgen María en la formación intelectual y espiritual" [The Virgin Mary in the Intellectual and Spiritual Formation]. The Holy See (in Spanish). Rome: Congregation for Catholic Education. Retrieved 6 June 2016. 1 2 3 Flinn, Frank K. (2007). "Mary of Nazareth". In Melton, J. Gordon. Encyclopedia of Catholicism. Encyclopedia of World Religions. New York: Infobase Publishing. pp. 441–448. ISBN 9780816075652. Retrieved 6 June 2016. 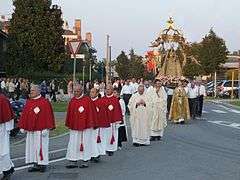 1 2 "Vatican recognizes Marian apparitions in France". Catholic News Agency. 5 May 2008. Retrieved 6 June 2016. 1 2 Perrella, Salvatore M. (8 May 2008). "Expert explains Church's criteria for confirming Marian apparitions.". Catholic News Agency. Retrieved 6 June 2016. 1 2 Hogan, Robert; Kulkarni, Sumithra (7 February 2012) . "Pastoral Marian Organizations in the United States". International Marian Research Institute. 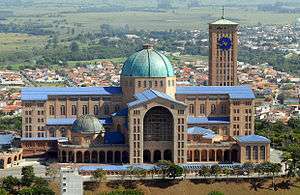 The Marian Library/International Marian Research Institute. Retrieved 6 June 2016. 1 2 Schmaus, Michael (2004) . "Mariology". In Rahner, Karl. Encyclopedia of Theology: A Concise Sacramentum Mundi. Mumbai: St Pauls. pp. 893–905. ISBN 9780860120063. Retrieved 6 June 2016. 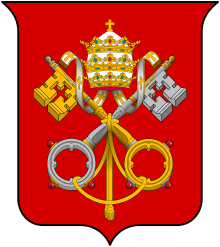 1 2 Pope John Paul II (25 March 1987). "Redemptoris Mater". The Holy See. Rome. Retrieved 6 June 2016. ↑ See Pope Pius XII, Mystici corporis Christi; John Henry Cardinal Newman: Mariology is always christocentric, in Michael Testa, Mary: The Virgin Mary in the Life and Writings of John Henry Newman (2001); and Mariology Is Christology in Vittorio Messori, "The Mary Hypothesis" (Rome, 2005). ↑ Perry, Tim; Abraham, William J. (2006). Mary for Evangelicals: Toward an Understanding of the Mother of Our Lord (Illustrated ed.). Downers Grove, Illinois: InterVarsity Press. p. 303. ISBN 9780830825691. ↑ Nachef, Antoine (2000). Mary's Pope: John Paul II, Mary, and the Church Since Vatican II. Franklin, Wisconsin: Rowman & Littlefield. p. 9. ISBN 9781580510776. Retrieved 6 June 2016. ↑ Schmaus, Michael (1955). Mariologie [Mariology]. Katholische Dogmatik [Catholic Dogma]. 5. Hueber. p. 328. Retrieved 6 June 2016. ↑ Miravalle, Mark I., ed. (2007). "Editor's Introduction". Mariology: A Guide for Priests, Deacons, Seminarians and Consecrated Persons. Goleta, Georgia: Seat of Wisdom Books. pp. xxi–xxiii. ISBN 9781579183554. Retrieved 6 June 2016. 1 2 3 4 5 6 Thurston, Herbert (1912). "Devotion to the Blessed Virgin Mary". The Catholic Encyclopedia. 15. New York: Robert Appleton Company. Retrieved 6 June 2016. 1 2 Pope John Paul II (15 November 1995). "Church Grew in Understanding of Mary's Role". L'Osservatore Romano. The Cathedral Foundation. p. 11. Retrieved 6 June 2016 – via EWTN. ↑ Martimort, Aimé Georges; Dalmais, Irénée Henri; Jounel, Pierre (1986). Martimort, Aimé Georges; et al., eds. The Liturgy and Time. The Church at Prayer: An Introduction to the Liturgy. IV. Translated by Matthew J. O'Connell (New ed.). Collegeville, Minnesota: The Liturgical Press. p. 130. ISBN 9780814613665. Retrieved 6 June 2016. 1 2 Lumen gentium, §61. ↑ Pope John Paul II. "Address of his Holiness John Paul II to the Participants of the Study Week of the Pontifical Academy of Sciences". Vatican. Retrieved October 4, 2010. ↑ Foster, David. Catholic Prayerbook: From Downside Abbey, (2001), ISBN 0-567-08669-0 p. 153. 1 2 3 McNally, pp.68-69. 1 2 "Shrine of Gualdalupe Most Popular in World". ZENIT International News Agency. Retrieved October 1, 2010. ↑ "Marialis Cultus at the Vatican website". Vatican.va. Retrieved November 20, 2010. ↑ "University of Dayton". Campus.udayton.edu. Retrieved November 20, 2010. ↑ "Address of John Paul II to the Members of the Scotus Commission". Vatican.va. February 16, 2002. Retrieved November 20, 2010. 1 2 Pope Pius XII. "Encyclical of Pope Pius XII on Proclaiming the Queenship of Mary". Ad Caeli Reginam. Vatican. Retrieved October 4, 2010. 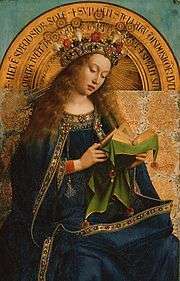 ↑ "Religion: The Queenship of Mary". Time. Time Inc. 8 November 1954. Retrieved 6 June 2016. (registration required (help)). ↑ Pope Leo XIII. "Encyclical of Pope Leo XIII on the Rosary". Octobri Mense. Vatican. Retrieved October 4, 2010. 1 2 "National Calendar of the USA on-line" (PDF). Retrieved November 20, 2010. 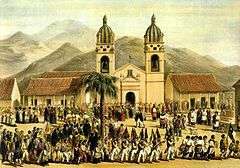 ↑ "The Canons of the Two Hundred Holy and Blessed Fathers Who Met at Ephesus". Ccel.org. June 1, 2005. Retrieved November 20, 2010. ↑ Willi Apel, Gregorian Chant 1958 ISBN 0-253-20601-4 p. 404. ↑ James Socías (2006). Handbook of Prayers. p. 472. ISBN 0-87973-579-1. Retrieved November 20, 2010. ↑ Anonymous (2013). Number 77 “Gabriel, from hevenë king.” In T. Duncan (Ed. ), Medieval English Lyrics and Carols. Cambridge: D. S. Brewer. ↑ "Directory on popular piety and the liturgy. Principles and guidelines". Congregation for Divine Worship. Retrieved 16 December 2014. ↑ Herbermann, Charles, ed. (1913). 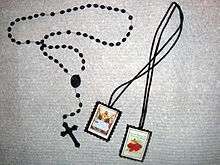 "Scapular". Catholic Encyclopedia. New York: Robert Appleton Company. ↑ Herbermann, Charles, ed. (1913). "Raccolta". Catholic Encyclopedia. New York: Robert Appleton Company. 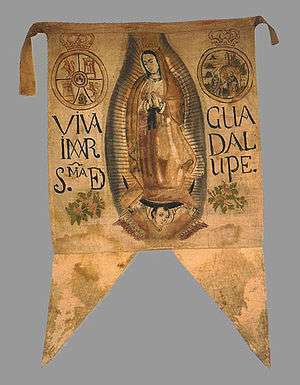 1 2 "Veneration of the Holy Mother of God, item 204". Retrieved November 20, 2010. ↑ "NY Times". Czestochowa (Poland); Fatima (Portugal): NY Times. Reuters. May 16, 1984. Retrieved November 20, 2010. ↑ "Catholic encyclopedia". Newadvent.org. Retrieved November 20, 2010. ↑ "Catholic encyclopedia". Newadvent.org. February 1, 1911. Retrieved November 20, 2010. ↑ "Catholic encyclopedia". Newadvent.org. October 1, 1910. Retrieved November 20, 2010. 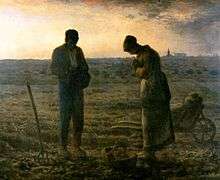 ↑ "Medjugorje". EWTN. Retrieved October 1, 2010. ↑ Pope Benedict XVI. "Homily of the Holy Father". Mass Before the Shrine of Meryem Ana Evi. Vatican. Retrieved October 4, 2010. ↑ "Vatican web site". Vatican.va. Retrieved November 20, 2010. ↑ David van Biega; Greg Burke (April 10, 1995). "Modern Miracles Have Strict Rules". Time.com. Time Magazine. Retrieved November 20, 2010. Herbermann, Charles, ed. (1913). 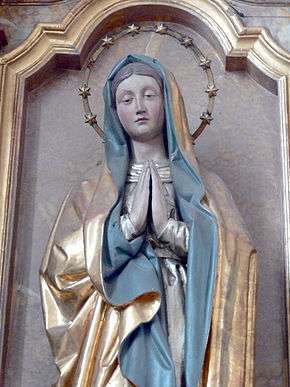 "The Blessed Virgin Mary". Catholic Encyclopedia. New York: Robert Appleton Company. Herbermann, Charles, ed. (1913). "Immaculate Conception". Catholic Encyclopedia. New York: Robert Appleton Company.